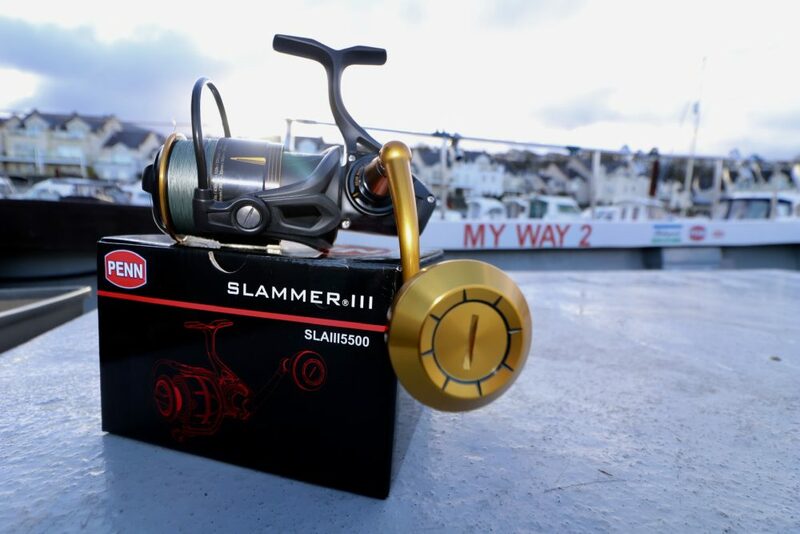 This week we managed a first proper look at the PENN Slammer III 5500 reels we have new aboard My Way 2 this season. PENN reels are respected world wide for their ability to do exactly what is required of them, the Slammer III is no different, strong, robust, durable and smooth. The PENN Slammer III 5500 reel has a braid capacity of 500yards/20lb 380yards/30lb 335yards/40lb and a maximum drag pressure of 40lb. With a retrieve ratio of 5.6:1 it is an ideal reel for those who prefer a fixed spool and wanting something capable of fighting the many small sharks available around our coast from either deep or shallow waters. For this outing and considering 180ft of water, the potential for double hook ups of big spurdogs, the reel was matched with the Greys GR100S 20lb class boat rod. 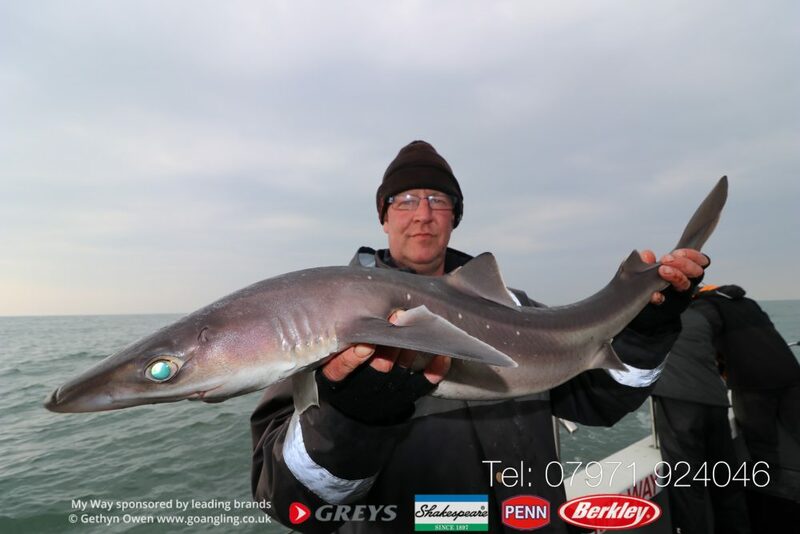 In this short video, regular My Way angler Keith Heaton is playing a low double figure spurdog from Holyhead Deep, gently easing the shark to the boat and using the well matched combo to great effect. * Sealed Slammer? drag system with Dura-Drag? We will be looking to upload more videos and reviews as the season progresses. If you want to use and try out any of our Pure Fishing rods and reels free of charge to help decide on your next purchase, please let us know when booking.